Shubh Deepawali... Aapke pet ke liye. You can buy things/gifts this Diwali ! You can share things/gifts this Diwali ! You can borrow someone's sorrows and Lend your happiness to them this Diwali ! You can even share moments of Joy Happiness and Togetherness this Diwali ! But you GOOD HEALTH can ONLY and ONLY BE PRACTICED!!! You cannot Buy it, Share it, Borrow it, Lend it !! Do remember this every moment from today. Practice Good Health and Spread Good Health! 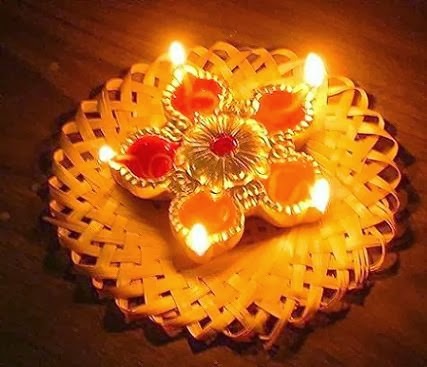 Have a Happy, Joyous, Sparkling Vibrant and SAFE Diwali! Eat Health. Stay Healthy. SHINE!! !